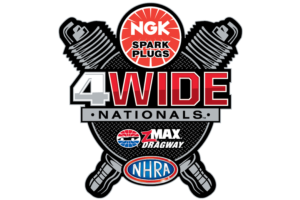 WIX Filters, a world leader in oil filters, air filters and filter products for automotive, diesel, racing, off-road, agriculture and industrial applications, will serve as presenting sponsor of this weekend's 11th annual NHRA Carolina Nationals presented by WIX Filters at zMAX Dragway. From Friday to Sunday, the Bellagio of drag strips will play host to the dramatic fourth race of the six-event NHRA Mello Yello Drag Racing Series' Countdown to the Championship, which determines the NHRA's champions in Top Fuel, Funny Car, Pro Stock and Pro Stock Motorcycle. In addition to WIX Filters' presenting sponsorship of one of the NHRA's premier events, WIX Filters' Tundra Up promotion on Saturday will give away a 2019 Toyota Tundra Limited truck to a store sales manager who held a successful Filter Sale Day. The top three of each category will attend this weekend's race, where one lucky recipient will have the key to start the Toyota Tundra.